"How many licks does it take to get to the center of a Tootsie Pop?" 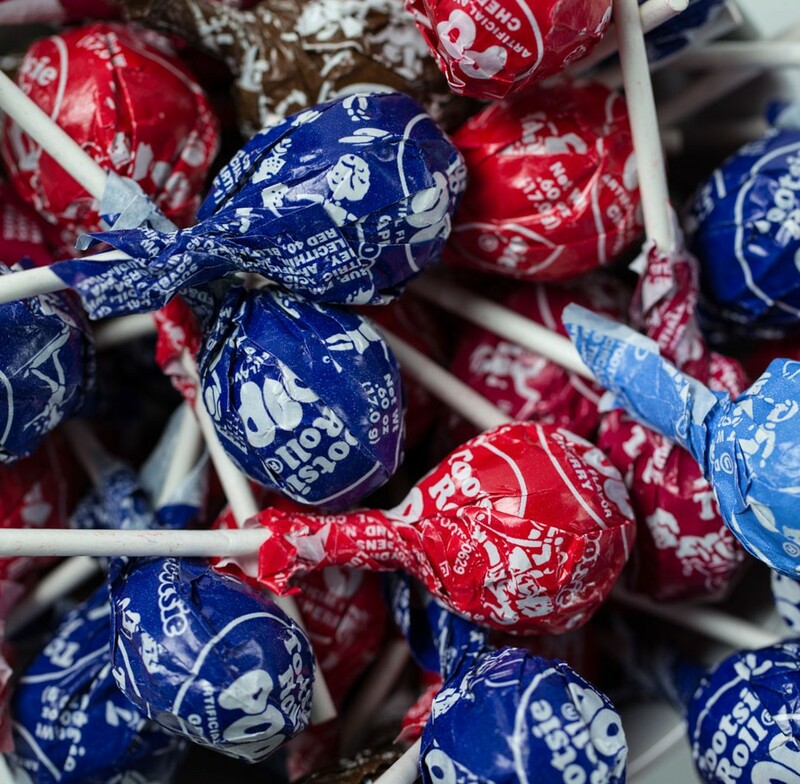 Experience the joy of finding out with these classic lollipops with the soft candy center. Bulk candy comes 6.5 pounds per bag. There are approximately 24 pieces per pound.